This content is exclusive to QLD Frog Society Members. If you are a current Member, please log in. 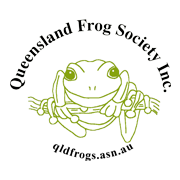 Your username and password can be found in the top right corner of emails received from the QLD Frog Society. *Please note if your username contains an '&' symbol or the word 'and', please remove from your username. Do not include any commas ',' either.